Data consistently shows that Baby Boomers are seeking out opportunities to "give back" when they retire. Fifty-five percent of upcoming retirees who indicate their intent to continue working express an interest in teaching and education. Moreover, Boomer demand is impacting existing teacher-recruiting programs. Due to demand, Teach for America, a nonprofit that brings top college graduates into teaching, has accepted 71 Baby Boomers. Considering Teach for America's highly selective application process (only 10% of applicants are accepted) and their very targeted marketing to college graduates, it is fair to suggest that this number represents only the most determined of the Baby Boomer generation - the tip of a significant iceberg.. There are two key reasons why committed corporations haven't been able to meet this employee demand. Due to competing business priorities, little infrastructure exists within many corporations to transition retirees into a new phase of life. Due to competing philanthropic priorities, little infrastructure exists within many corporations to market transition to teaching programs to retirees or to create the partnerships necessary to make placements successful. This gap between high Boomer demand and low corporate ability provides enormous opportunity for T2T to build the components of a scaleable transition to teaching program - relevant public/private partnerships and a Boomer marketing infrastructure that can be replicated within companies and across the nation. U.S. Students are equal with other countries up to the 4th grade. Then, they fall off until the 12th grade when the U.S. is 31st in competence. China, India and Eastern Europe are out-producing the U.S. in engineering graduates by a factor of over 10 to 1. Engineers and scientist are required in order to produce the continuing improvement of man's toolkit. Currently if graduates in other countries do not immigrate to the U.S. but choose to stay at home and build up their societies, the U.S. will no longer be the leader and provider of future tool kit improvements. The future Microsoft's, Dells, Cisco's, etc. will be based in foreign countries and the best jobs will remain abroad. The U.S. standard of living will suffer, as there will not be the knowledge worker base to produce the revenue required to support the current tax structure. In the end we will become a second rate power. With that lowered status our influence for universal education, for tolerance among various sub-cultures and our "can do spirit" will be judged as just another unsustainable cultural fad as it was not sustainable. Shorter run solution (ten years): One-half of all current teachers will retire over the next ten years. One-half of all engineers will retire over the next ten years. Why don't we use these engineers to teach? 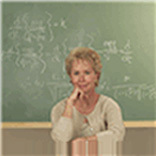 Who better to pass on an enthusiasm for the practical applications of math and science? Art, music and physical education have been removed from many schools' curricula. Local artists and athletes may be willing to revive these subjects if asked. A percentage of their students will become part of the pool required for such teachers in the future. Contact engineering companies, engineering societies, local artists, athletes and alumni associations to find members who are willing to donate time and energy to teach what they love; science, math, music, art and athletics. Bring this uncovered talent into the school system as mentors, teacher-aids and accredited teachers. We already have a program of accreditation that can be completed virtually with one day a month class attendance for 12 months. This program would be funded by individuals, corporations and other 501c(3) organizations who see the need and want to help. This valuable and necessary project is gathering momentum. We welcome your comments, thoughts and additions.